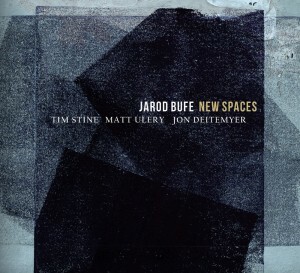 Bufe’s sound has a solid, deeply resonant core that brings to mind the maturity and patience of seasoned tenor veterans. 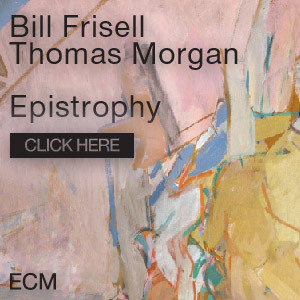 His use of tasteful vibrato and subtle dynamics adds lyricism to the melodic lines of his sophisticated compositions, which frequently steer the listener in unexpected directions en route to enlightening destinations. Bufe solos with fleetness and flexibility, maintaining poise and confidence while conversing freely with his bandmates and searching out ever-fresh ideas. Deitemyer is impeccable behind the kit. Stine serves as both sensitive accompanist and improvisational foil for Bufe. And Ulery, when not extracting gorgeous solo lines from the upright, lays down a pulse that’s felt as much as it is heard. New Spaces conveys creative vitality through and through, and jazz listeners hungry for new content certainly will find satisfaction in this well-mixed, pristinely recorded collection of finely crafted tunes.